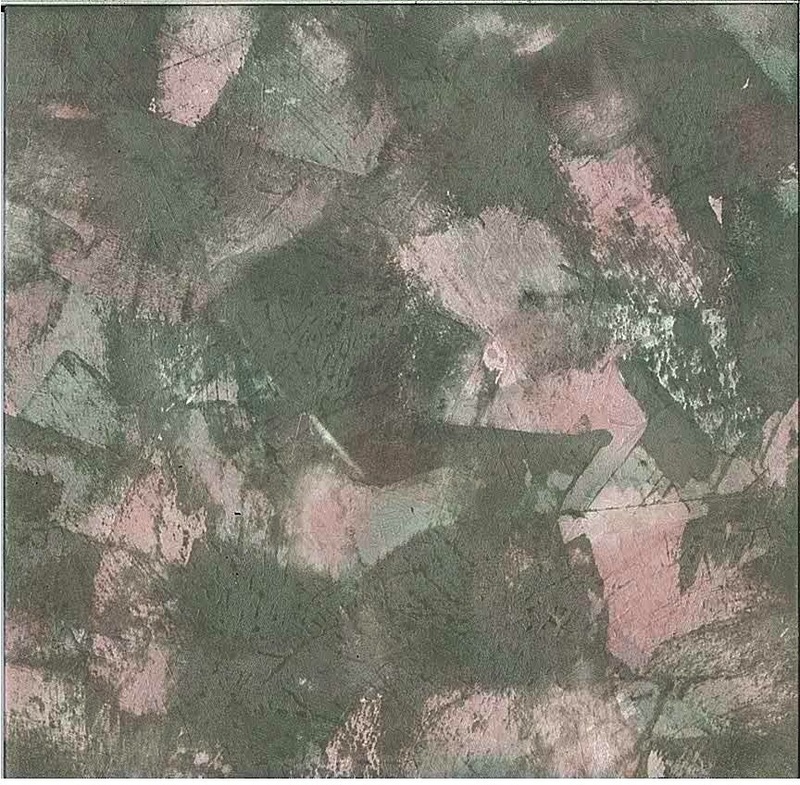 Green marble textured vintage wallpaper pattern including an interesting array of colors combined to replicate marble, but not traditional marble. The colors are Rose, Sage Green and Plum with a neutral clear glaze. The colors combine in such a way that the over-riding impression is very contemporary. Although this is a vintage product, it has the look and feel of modern designer patterns. Great for a Foyer or Bedroom.